How magnificently cute are these? Not only cute, but pretty darn affordable too at £7-a-piece. Keep the packaging as a tree decoration whilst bubbling up the contents (a 3-in-1 shampoo, shower gel & bubble bath) in your bathroom. 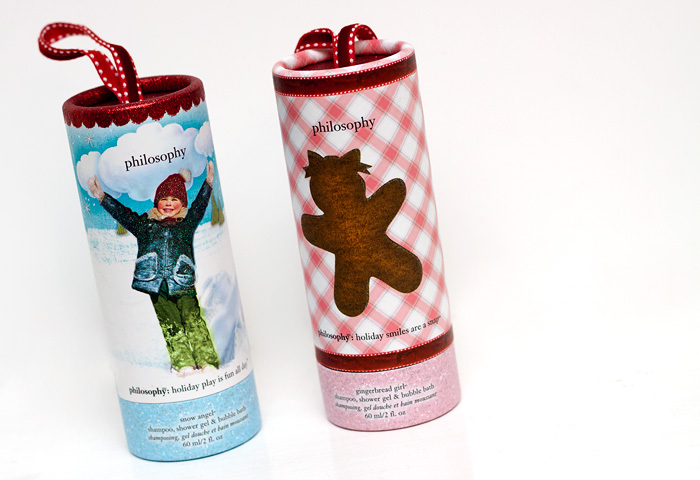 Choose between: Gingerbread Girl, Snow Angel and Peppermint Bark – but be quick because Philosophy Christmas sets are always in high demand and usually sell out pretty quickly. ~Yay! I can see your website again! Wish I’d known about these before my Christmas shop this morning! Going to buy these today! They are so cute!! There is also a 1000 points for 3 premium brands offer in boots- and these qualify.